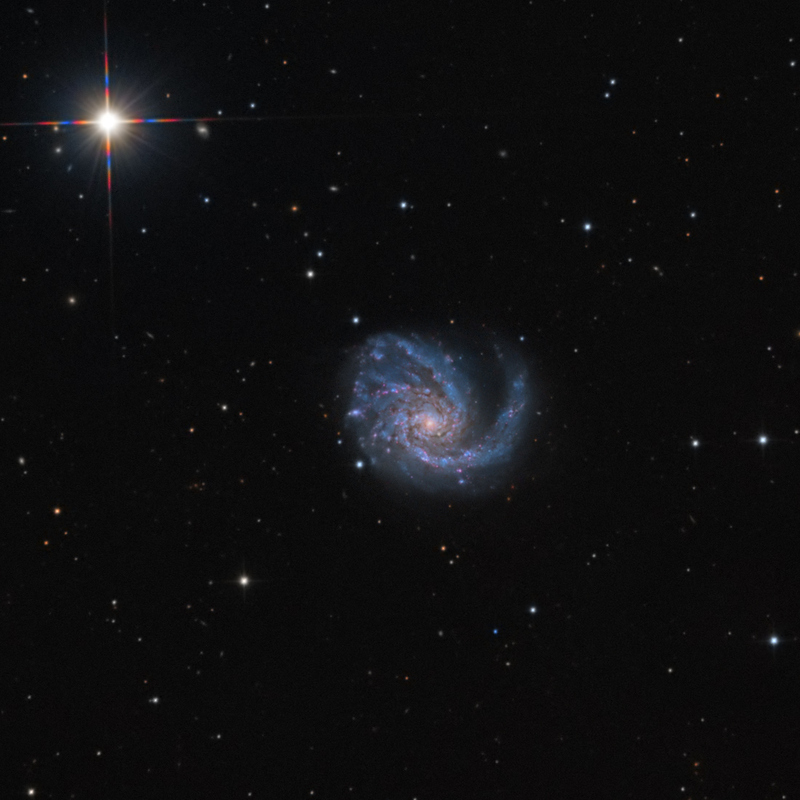 SN 2014L type Ic in M99 (NGC 4254, Coma Pinwheel) in Coma Berenices. Probable Supernova 2014 in M99, first designated PSN J12184868+1424435, was discovered on 2014/01/26.830 by THU-NAOC Transient Survey (TNTS). Found in M99 at R.A. = 12h18m48s.68, Decl. = +14°24'43".5 (= NGC 4254), Located 14" west and 16" south of the center of M99. 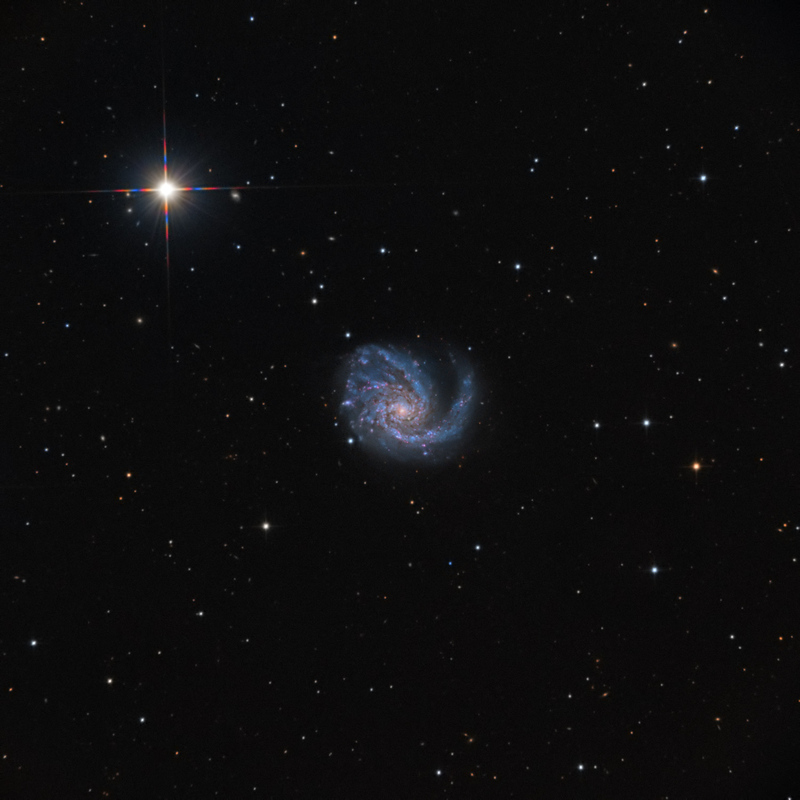 M99 is one of many spiral galaxies members of the Virgo Galaxies Cluster. It is of type Sc, and is fairly asymmetric. The galaxy nucleus has a displacement to the South. Some scientist speculates that this asymmetry could be due to an interaction with other members of the Virgo Cluster. The galaxy is about 60 million light years away and displays blue and red star formation regions in the spiral arms. Following the posting on the Central Bureau for Astronomical Telegrams (CBAT) about a possible Supernova in M99 spiral galaxy (TOCP Designation: PSN J12184868+1424435) we performed follow-up of this object through a 12"RC astrograph + CCD camera from our remote controlled IRIDA Observatory. Meanwhile, it received its official designation: SN 2014L and it is a type Ic supernova: Type Ic are categories of stellar explosions that are caused by the core collapse of the star with the apparent lack of helium in the spectra of SNIc.